I had not had a play date since January, and it was March so, I was really looking forward to the Blois family coming over. 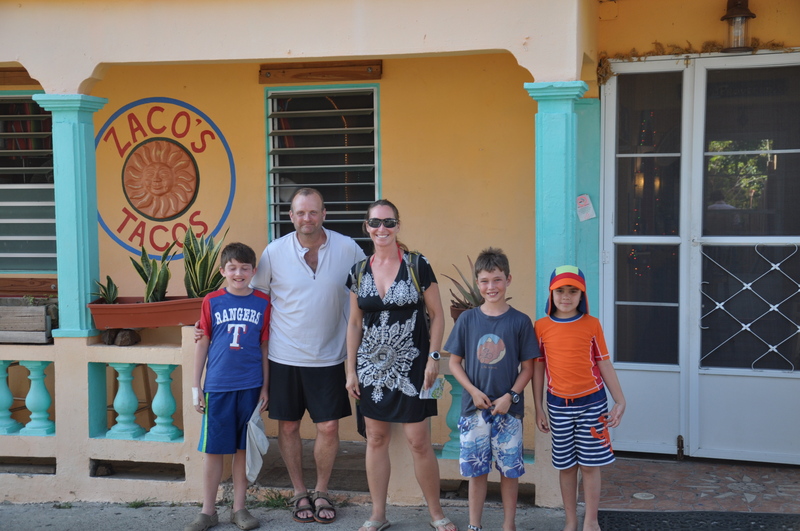 We had a great time in Puerto Rico with Lanse ( age 11), Lukas (age 8) and Eric (age unknown). The day finally arrived when we picked them up in our dinghy and brought them back to the boat. 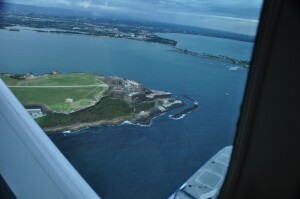 We were anchored between Old San Juan and the airport. We helped them get acquainted with the boat, including how to use the toilet, which, mind you is completely different than a regular toilet! The next day we explored old san Juan which is an old walled city built by the Spanish in the 1500’s. In Old San Juan we tried three different foods. We tried mofongo, empanadillas and croquetas. 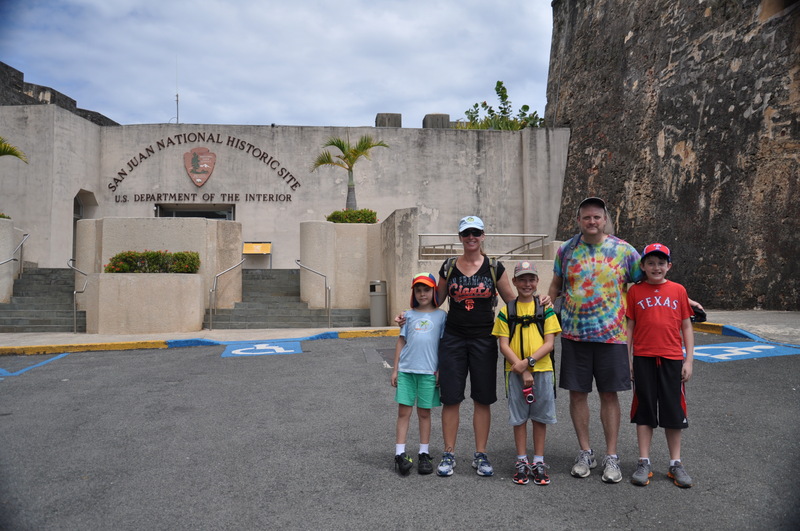 We went to El Morro which, is a fort that took 200 years to build. It was used to defend Puerto Rico from the Dutch and the English including Sir Francis Drake. They both attacked the fort but neither succeeded. It was also used in World War II. 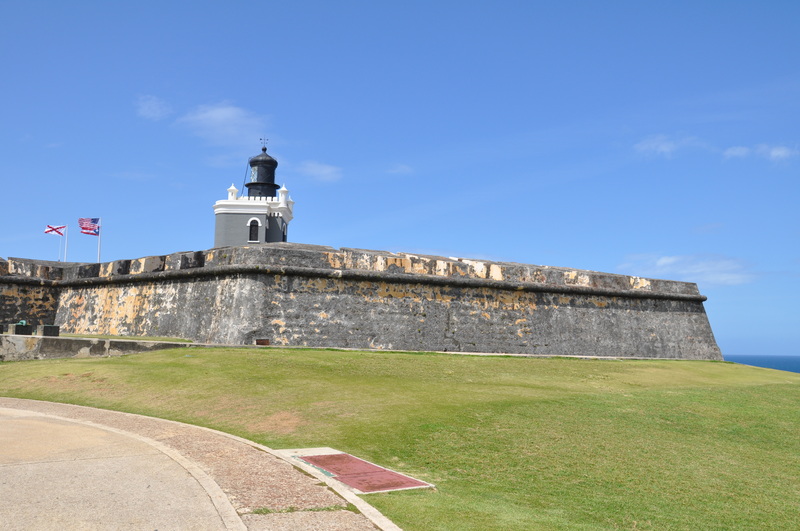 Its outer walls and the wall around Old San Juan are 18 feet thick. The views from the fort were amazing. 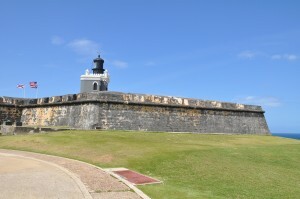 On the third day, we went to San Cristobal which is an old castle that also protected Old San Juan. Lukas and I went exploring by ourselves. Part of this fort was built in the 1500’s. Later, when we got onto the dock that our dinghy was tied to, we saw a seaplane docked there also. We met the owner and he said that he had a pilot taking it back to the airport. So he offered to let us ride. The pilot offered for someone to sit in the co-pilot seat, so I jumped at the chance. 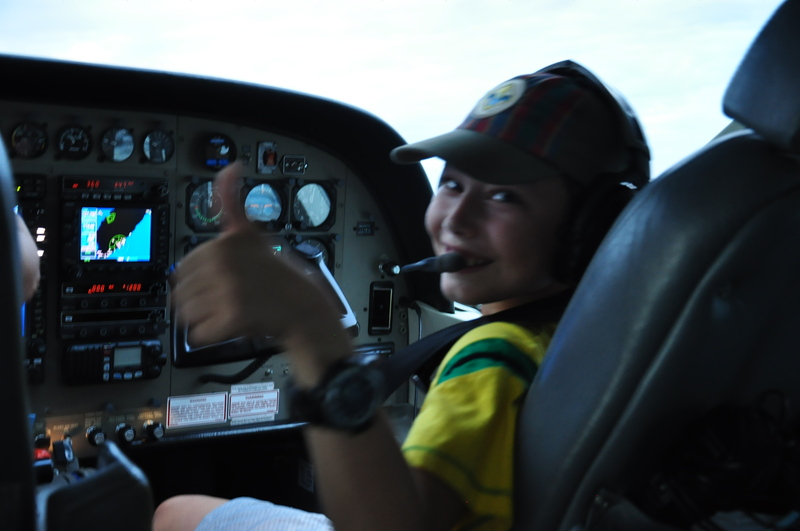 I put on the head phones and microphone so I could talk to the pilot over the roaring engine. The the plane started to move. We taxied into the middle of the bay. Then we started to go faster and faster, and before you could say Mississippi, we were in the air. We circled Old San Juan and it was so cool to see the fort that we had just been in from the air! My dream had come true. I got to sit in the cockpit of a seaplane. I was so happy that I was speechless. When we got out onto the tarmac the seaplane was taller than it was in the water.I didn’t know how to thank them I was so happy. Then my dad dinghied us back to the boat. The day after that we sailed to Palomino Island and we went swimming. The next day we went to Palominito Island, which is a tiny one minute island which means that you could run around it in one minute. We found a shipwreck and we tried to recover parts of it. We were in the middle of getting the anchor lifted when my mom called us and told us that it was time to go. It was a calm but windy sail over to the next anchorage called Culebra. The Town of Culebra has a population of 2,800. After we got settled in we went swimming over to this little mangrove island. About five minutes after we got into the shallow water Lukas started yelling, “OOOUCH! OOOUCH!” So we rushed back to the boat and when we got there we figured out that he got stung by a jellyfish, so we put vinegar on his arm. Later we went to the Dinghy Dock Restaurant for dinner. There was a HUGE forest fire and the ashes were drifting over to the restaurant so we played smash the ash! 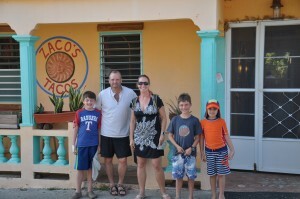 The next day we went to Zaco’s Tacos for lunch. I caught a gecko there. They had a chess board and Lukas asked me, “Are you good at chess?” and I said, “No, not really.” We played a few games and I proved that I was not good because he beat me every time, but I learned a lot! 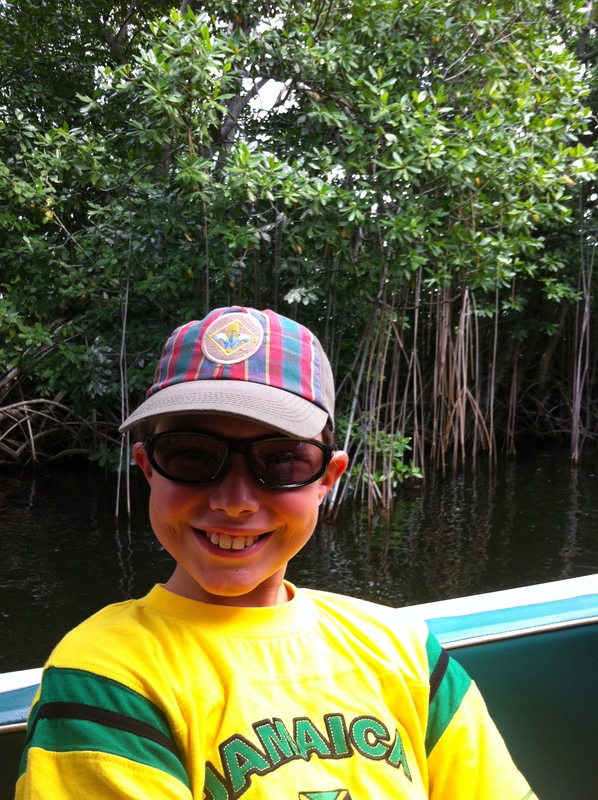 After that we went back to the boat and went snorkeling, even though we didn’t see any fish. The day after that we went to Flamenco beach. 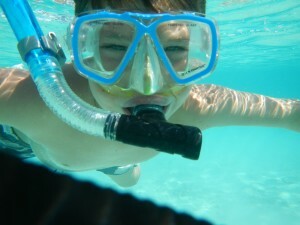 There was a great reef for snorkeling. There were so many varieties of fish that I lost count. There was also many types of beautiful coral. And there were two tanks on the beach. This island used to be owned by the U.S. Military. They used it for training and bomb testing. That is why there are tanks on the beach. 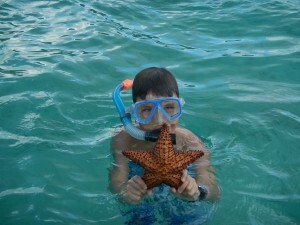 The next day we went to Culebrita Island. We had a sand sculpture contest and my mom and I built sand mermaids. We also went snorkling at a small reef near the beach on the other side of the anchorage. The next day we went to Tamarindo beach where we went snorkeling and I dove down and caught a sea star. Then we had a chess tournament and I did not win ONE single game! But we sure had a lot of fun! The next day they left. As their plane passed over us it did a wing tip. It was sad that they had to leave, but I am glad that I have those memories of them in my mind..